The number of words contained in the source segment. The number of words contained in the translation. The date and time when the segment was created. 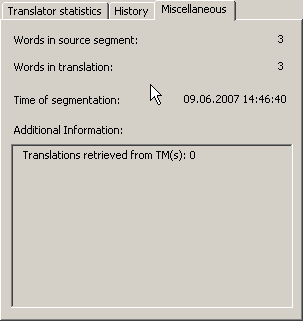 If the TU contains segments from a TM, TDB results, or machine translation results, detailed information about these is given in this text box.